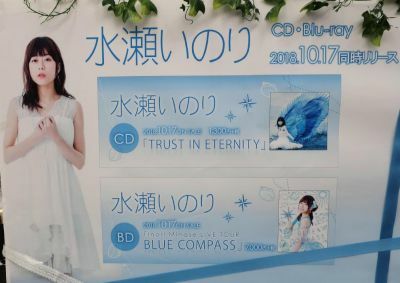 The bluray "Blue Compass" went on sale 10/17. 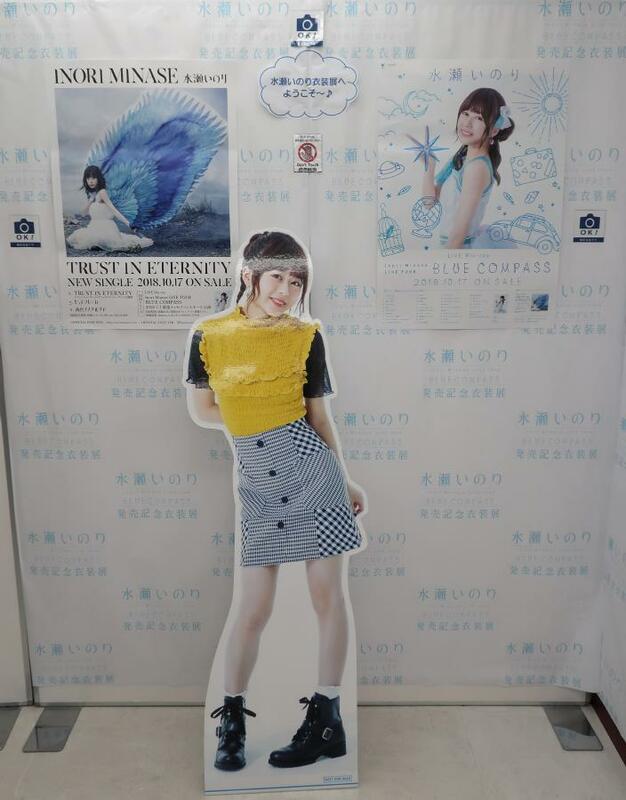 Photos of the outfits weren't allowed, but there was a live-sized pop of Inori. 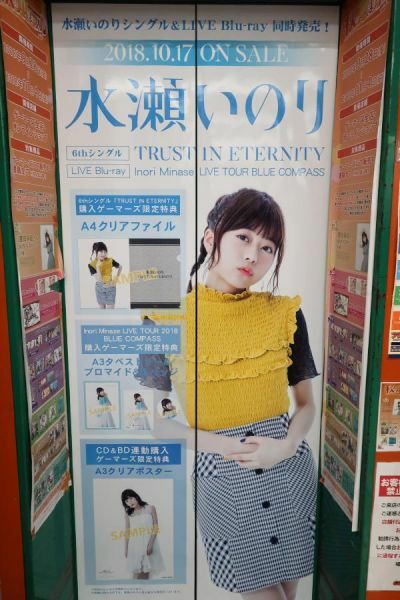 There were also advertisements on the elevator doors. 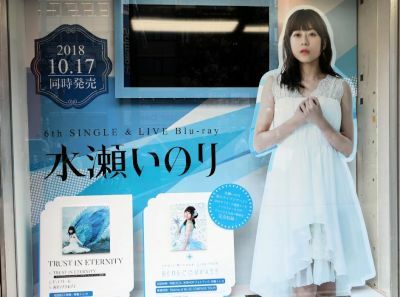 Inori's 6th single "Trust in Eternity" also went on sale 10/17. 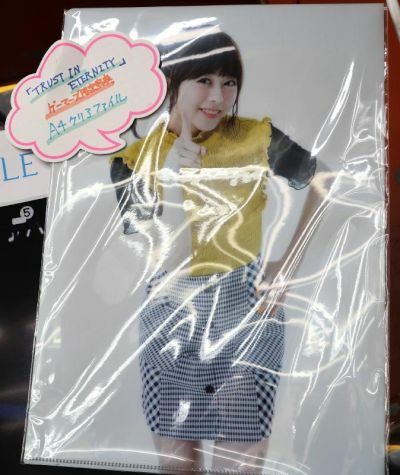 At Gamers they gave away small tapestry and a clear file to those who bought the bluray and CD. 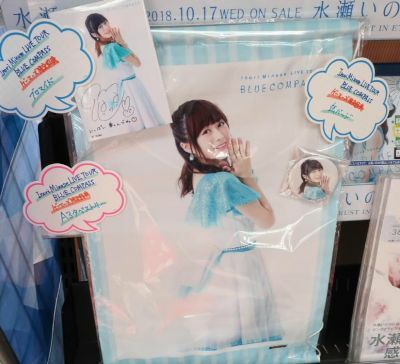 There were also advertisements for the CD and BD at Animate. 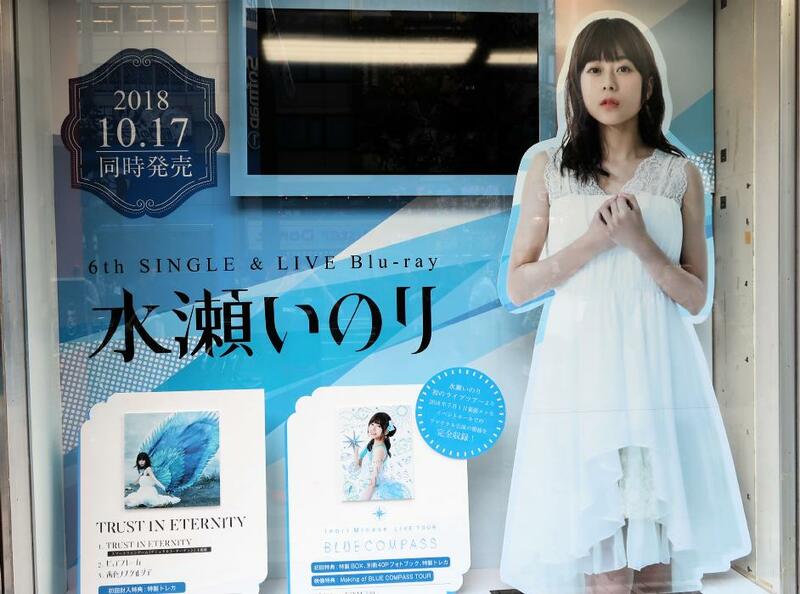 There was a store front window display for Inori at Toranoana.